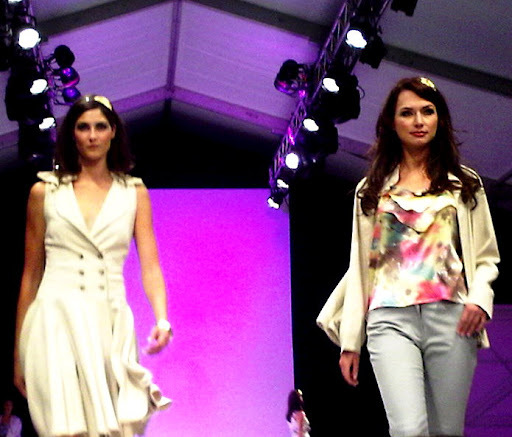 After much anticipation, fashion week (although it only lasts 3 days) is officially underway in Chicago. 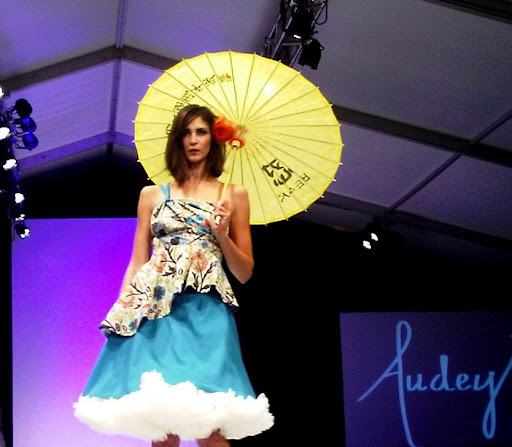 The first major event was the Macy's Designers of Chicago runway show that featured 6 well-established designers who currently have items available at Macy's plus 6 emerging designers that were chosen for Macy's Chicago Fashion Incubator. Although, one of my BFFs (best fashion friend) and I arrived right before the show and encountered a fully-packed venue, we were lucky enough to be offered seats right at the end of the runway amongst the media. That's what I'd like to call a MAJOR score! Unfortunately, I was without my camera (the second time in this past week). Sooooo, me and my blackberry camera were reunited once again, all in the name of fashion. 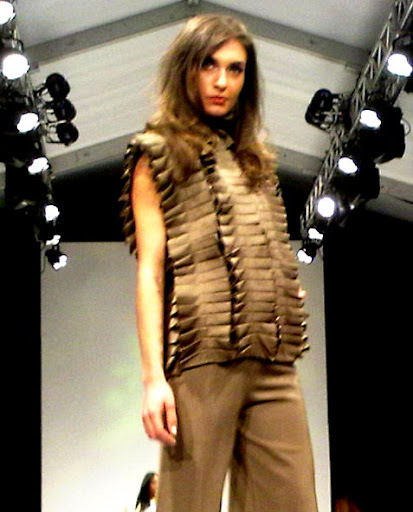 The show consisted of many ready-to-wear items. Some may complain that there weren't many (if any) avant garde pieces. However, I believe that ready-to-wear is a favorite amongst Chicago fashionistas. We are constantly on the move and braving weather that at times involves experiencing all 4 seasons in one day. Our closets overwhelming consist of items that are unique yet practical, sophisticated yet wearable. Based on the show, I've concluded that ruffles are here to stay and that some of the colors we will see in the Spring include blues, greens, corals and pinks. Ladies, it's all about femininity and color! The pool blue/white tunic and wrap by Lara Miller: She took me to a warm and sunny place, even if it was for 5 minutes. The sequin hats and bags by Blake Standard: They're such great ways to incorporate sequin into one's wardrobe. The ruffle skirts and green/navy seersucker dress by 5p1t: The dress had pockets. Enough. Said. The high collar pleated top by Tennille White: Plus-size fashion at is best! The blazers and jackets by Lauren Lein: I'm a sucker for puff sleeves and asymmetry. The dramatic headpieces as well as the grey/silver tweed halter gown by Jermikko: The cascading ribbon detail in the back was fantabulous. 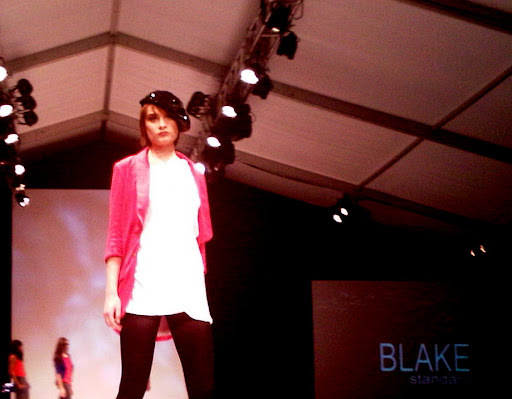 The swing coat and jacket by Zamrie: They had so much movement! The jacket is officially on my "must have" list. 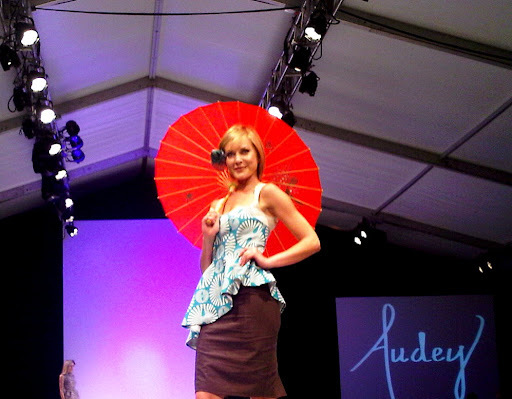 Everything by Audey: Her first piece resulted in a resounding "ahhh" from the crowd. Her use of colors and patterns was so refreshing. Some of the crowd pleasers included the plus-sized models in Tennille White's showcase who WORKED the runway and the men that modelled Lee Allison shirts and ties wearing nothing else but boxers and dress socks (including the old school sock garters). So fun! Overall, it was a fantastic runway show. Chicago represented well, in both the designs and the attendance. The room was filled to capacity despite the cold and rainy weather as well as the leaking and puddle-filled tent. When it comes to fashion, nobody puts Chicago in a corner. We're so fashion focus(ed)!